Shown: Open Wire Vanessa Knot Reverse Cradle, 6 mm outside cradle and 3mm Band on the inside. 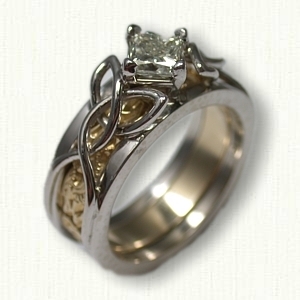 set with a 0.50ct round diamond with an 18kt yellow gold inside band. 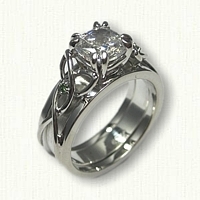 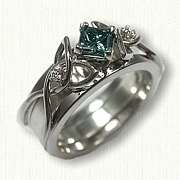 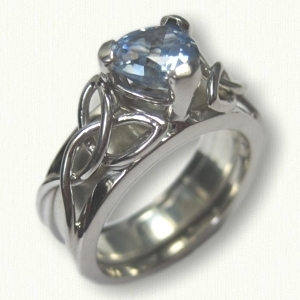 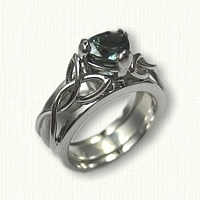 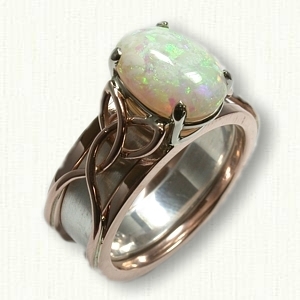 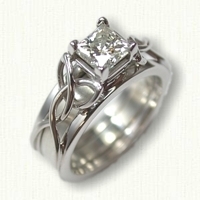 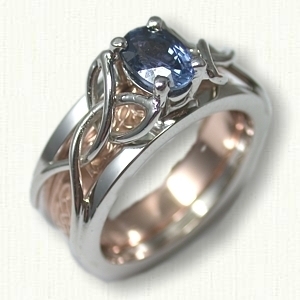 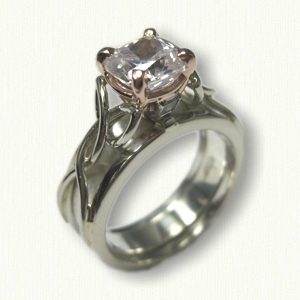 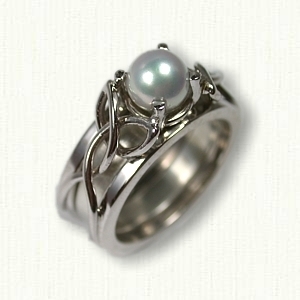 Pricing in 14kt starts at $549.00 which includes a sterling silver spacer band. 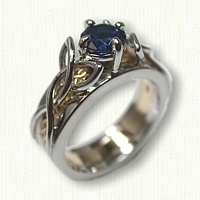 (Stones are an additional fee). 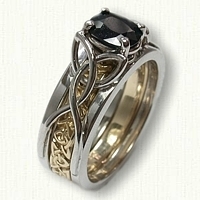 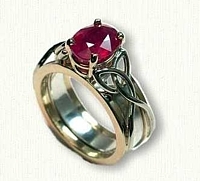 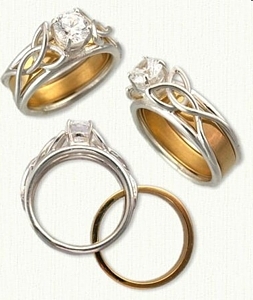 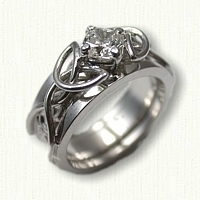 Visit our matching Triangle Knot bands page for other ideas.